The Black Diamond Distance Carbon Z Trekking Pole folded and it its package. Neat and very tidy. 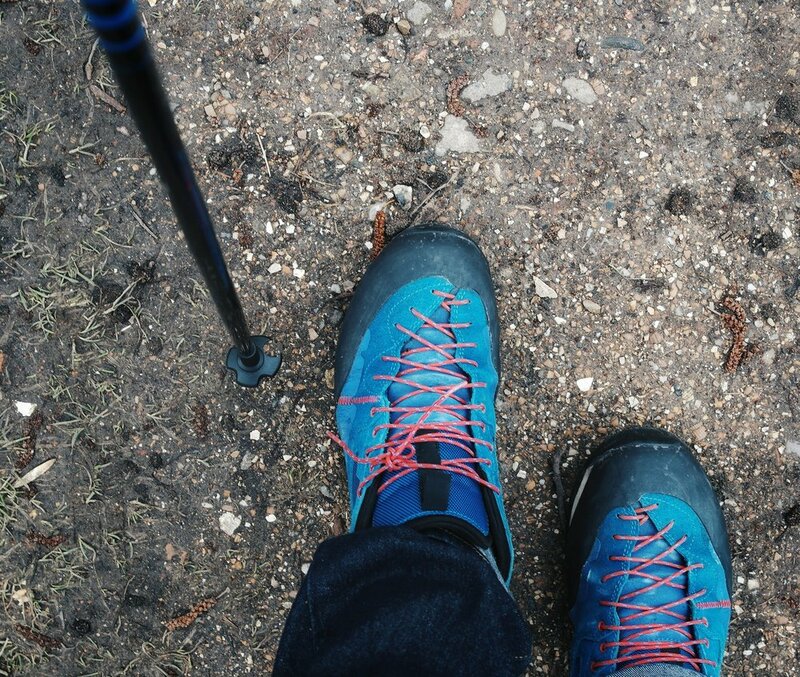 Trekking Poles - why are they so important? Over the years trekking poles have become increasingly used out on the trail and mountainous terrain. As a result of this, they are now a very popular piece of equipment used by many hill-goers and long-distance walkers and runners, with each having their very own unique style and purpose. Trekking Poles are available in a variety of different formats, from the cheap and cheerful varieties, for use by the casual walker, to the more sophisticated, ergonomic and shock absorbing devices. Which are used to complement activities, such as ski touring, long distance walking and more technical mountain pursuits. Poles are an essential piece of kit in most outdoor enthusiasts kit bag and most certainly serve their purpose really well. 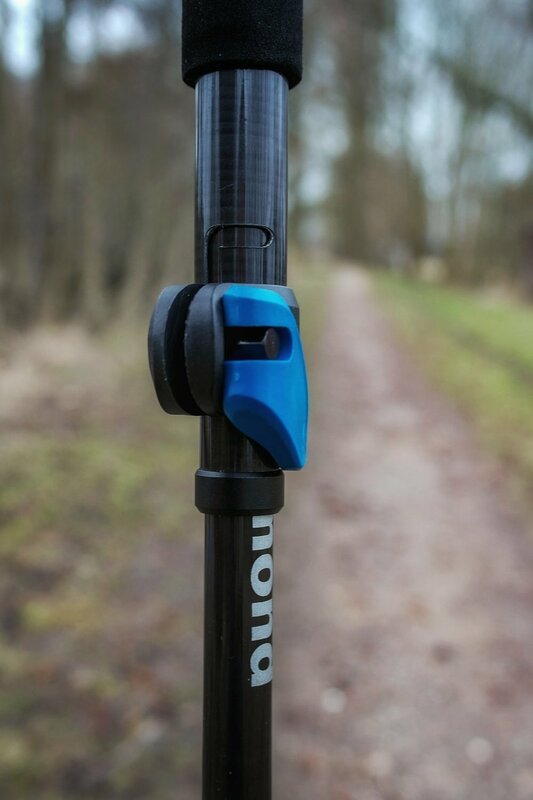 With the 'lighter the better' options serving as a new outdoor mantra, therefore it is no surprise that pole makers and outdoor equipment companies have done their utmost to shed the weight, making them much more compact and convenient to use. I was lucky enough to take a good look at Black Diamond's featherweight option - the Ultra Distance Poles and then put them through their paces in the Great Outdoors. I simply love walking and over the years I have really enjoyed being challenged in a variety of different terrains. From the upland hills of the glorious Peak District UK, which has been home for most of my life. To the rugged mountain terrain of the Alps, to the more subtle woodland trails and flatland's of my (now) home in the Netherlands. Throughout this time, I would always regard myself as 'a fairly sceptical walker.' A person who generally just walked everywhere and was unphased by any of the new gimmicks, fads or wishing to test out the latest equipment, just because someone said it was 'great.' As a result of this, I have always remained fairly sceptical as to the overall purpose and use of trekking poles. Nevertheless, I'm always willing to be convinced and indeed my opinion changed. 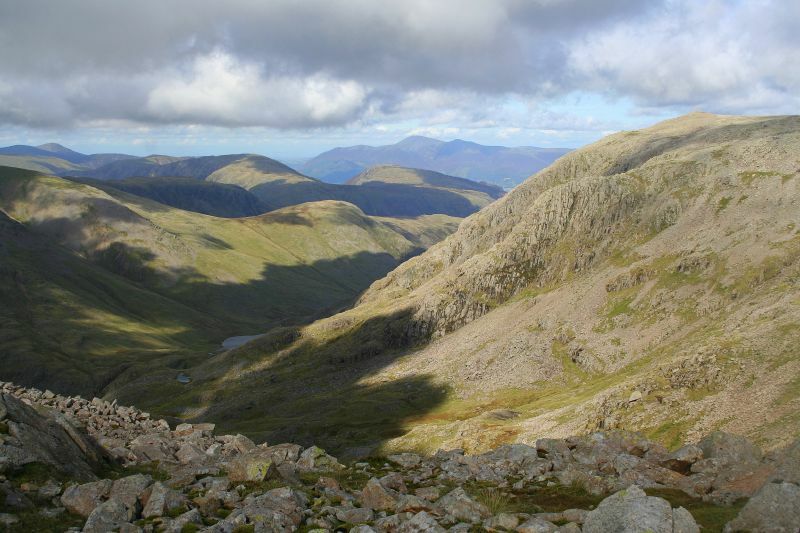 That opinion changed when I was lucky enough to hike Britain's highest peak, Scafell Pike, back in 2007. Climbing and scrambling had previously led me to always use what God gave me and attempt to power up similar mountain landscapes using just my feet and sometimes hands. During this particular adventure, the walk became fairly challenging at times and I was struggling a little. Not only from the cold, but also the uneven surface. So, a friend allowed me to use one of their poles in order to help balance my weight and make the task a little easier. From that moment, I had found something that not only helped me over the rocky terrain, but certainly convinced me that trekking poles are well worth investing time and money in. Soon enough I was back to gliding up the uphill sections and the poles offered great support and help when moving efficiently downhill. Really stabilising my balance and foot movements all the time. give you a high-tech walking experience and are most certainly a 'must have' piece of kit. They are ideal for anyone who enjoys the outdoors and are particularly essential when participating in activities like trail running and day-hikes. Especially when you want to do your utmost to maximise and support your body weight. Why is this product so good? Firstly, and above all else, they’re extremely lightweight. The poles are made of very robust and super light carbon fibre, they are the lightest series in the range of different trekking pole models that Black Diamond offers. I had a pair in my size (120-140 cm) poles which suit my height of 6ft. They weighed in at an incredible just 370 grams for the pair. When folded and put into or onto my rucksack, I didn't even know they were there. They gave incredible support and great comfort out on the woodland trails. Mostly during my long distance walks. They were so light and packable, I could even attach them to the back of my running belt. In fact, when they are collapsed they measure only 16 inches in length. This particular model comes in a couple of different fixed sizes, depending on your height and this means they’re non-adjustable, but I found mine to fit just perfectly. They are more of a folding pole, as opposed to a telescopic design and with that, it is worth noting to definitely make sure you pay attention to your height. As the poles will fold out into a fixed length. 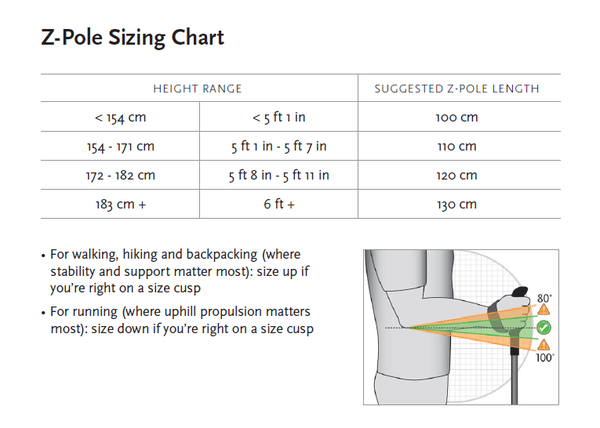 So, pay attention to this, as it really does help to obtain trekking poles that are suited to your height, as short or long can prove to be problematic. The model allowed me to fix them securely into place by using the FLICKLOCK system. This certainly helped to give a secure feel and to make sure the pole would not slip or change length. Some models offer the chance to be able to adjust them for different kinds of angles of the uphill and for running downhill (i.e. if you’re walking on a very steep uphill, you might want a shorter pole than if the hill isn’t that super steep or if you’re running downhill). 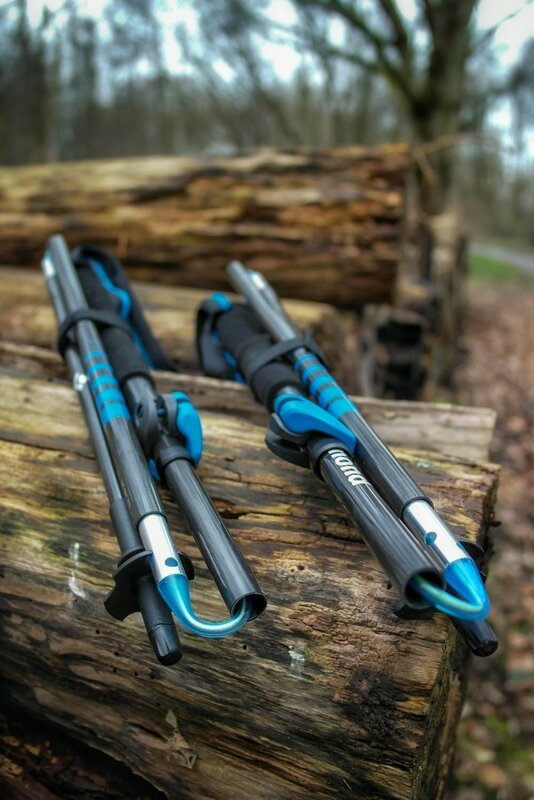 Personally, I'm not a fan of this and I have certainly never felt the need to adjust trekking poles, so with that in mind, the Carbon Z get my vote any day of the week. Obtaining these poles from Black Diamond and then using them in the great outdoors has been really fantastic and I cannot stress how good they are. One of the major advantages of these wonderful Black Diamond Distance Carbon Z poles, is that they are incredibly fast to fold together and then set up. From a compact start, I thought they would be tricky to put together. After all, I was under the impression that I would have to practice this over and over, in order to get it right. To my surprise, this was not the case and it was really simple and straightforward to put together and then use. The poles have great technology and are built with great quality. They are connected by a Kevlar cord, which creates tension and when you start to unfold the poles. Once they are folded out the three pieces 'snap' into place, almost by themselves. You can then secure the whole construction by pulling the grip and the top part of the pole apart until you hear a click. Once secured in place, they feel very stable and when a downward force was applied not once did they feel unsafe or not secure. When the activity was completed, folding them up was also extremely quick. I folded them away added the straps (that held them in place) and put them back into the rucksack very quickly and without any hassle. Once in your hands you can even keep them there, they are so unbelievably light and compact. For an Ultra Marathon event or Mountain Marathons, these are simply perfect, as they’re so lightweight. Running effectively and efficiently is made clearly apparent. At first glance, I thought this sounded more like a special forces unit, as opposed to something found on a trekking pole, but it is fair to suggest it is an essential component of the trekking pole unit. To use it you need to simply grab the grip and the shaft section, and then simply pull them away from each other. The whole pole will then easily snap into place and lock. As a result, each other speed cones will guide the section of the shaft into place and then begin to stiffen the joint, once the pole has become locked. A push button then releases the inner Kevlar tension cord, to then allow for easy folding. The poles come with extra interchangeable tips, which are both carbide and rubber. The Carbide Tech Tips provide added grip on ice and other hard surfaces. Where are the rubber Tech Tips are quieter, scratch free and provide excellent grip. The poles came fitted with the rubber grips, but I suggest if you are going to use them regularly out on varied types of terrain, then as soon as possible change them to the carbide tips. I personally feel this is more of a practical option, as opposed to anything else, as they will undoubtedly live up to the test of time. Black Diamond undoubtedly make great products. I have purchased head torches and other items in the past and I cannot find fault or criticise anything about their products. From design and build quality, to customer service / care they are really excellent company. From the start and being a sceptical walker and runner. These poles have certainly shifted my thought process and overall opinion about using them more frequently. Now that I have them and used them several times over, I definitely will be using them more and more during my outdoor adventures and travels. The build quality is excellent and judging by the overall look and feel, you know you are going to get an exceptional product. Using them frequently means they can certainly help a walk or run to be even more pleasurable, on both body and mind. A simple thing like carrying them, has certainly left me lost for words, as they can be conveniently packed into the smallest of places and moved round seamlessly. I love these poles and would, of course, recommend them over and over again. Competitively priced, I feel that every 'would be' outdoor enthusiast must have them as part of their essential kit list. Be sure to check out Black Diamond and some of their amazing outdoor products.